Sopure Disinfecting Laundry Powder is effective for use in combating MRSA and E.Coli. 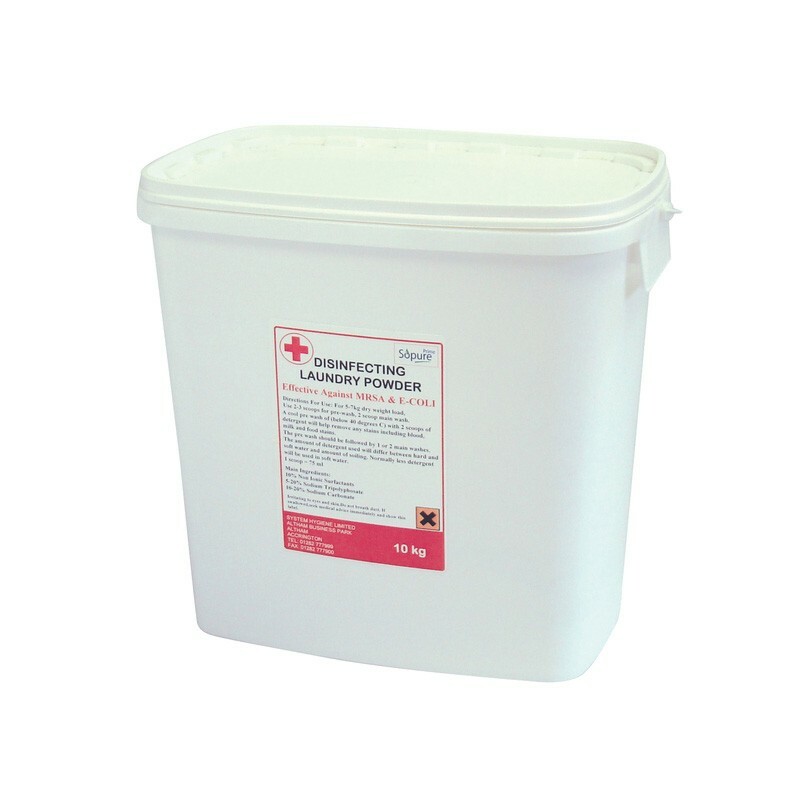 Ideal for use in all industrial laundries, schools, nursing homes, laundrettes and hospitals. Comes complete with graduated plastic scoop. Sold in large 10kg reusable plastic tubs. 5-7kg Dry Weight Load: Use 2-3 scoops for pre-washing and 2 scoops with the main wash. A cool pre-wash (below 40°c) with 2 scoops of detergent will help remove any stains including blood, milk and food stains. The pre-wash should be followed by 1 or 2 main washes. The amount of detergent used will differ between hard and soft water and the amount of soiling. Normally less detergent should be used in soft water.